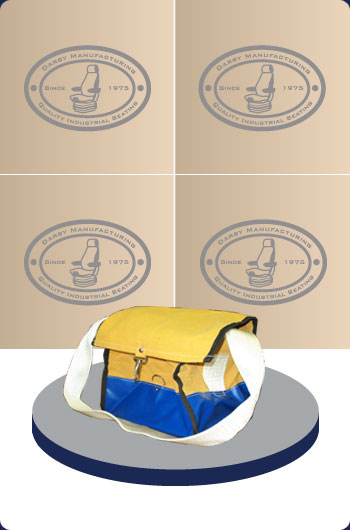 The 100-17 bit bag is constructed of water resistant canvas and vintex. Originally made for industrial drill bits, this bag is equipped with a drainage grommet at the bottom. It also has a sturdy nylon shoulder strap. For further information, please contact Darby Manufacturing Ltd.